The passionate hockey fan in your family will be delighted to receive this Personalized Hockey Ornament as a Christmas surprise. They'll love being able to show off their love for this sport on the family Christmas tree year after year. 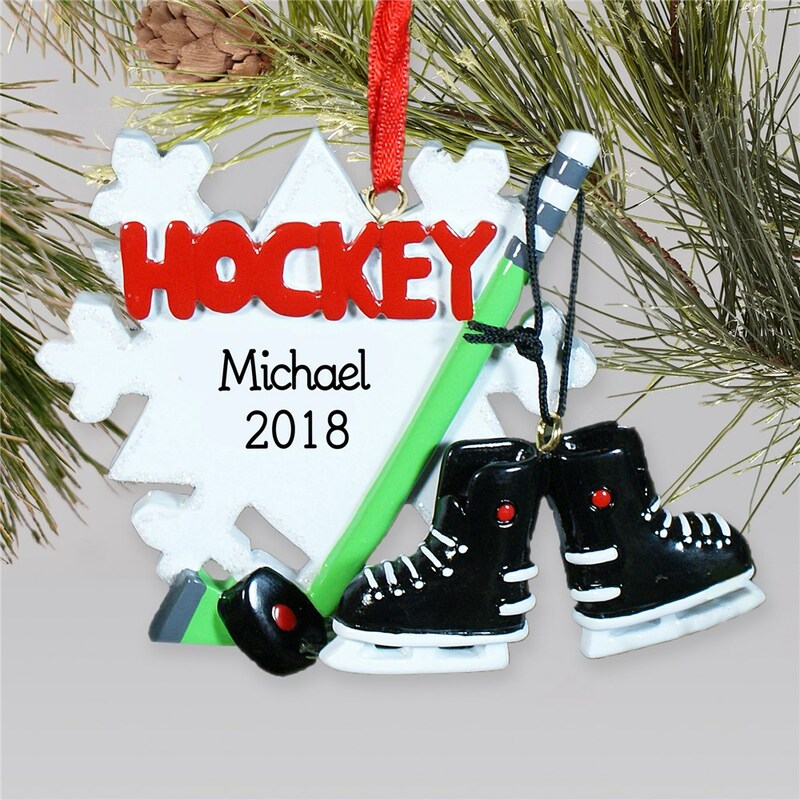 This Personalized Hockey Skate Ornament will become one of his favorite gifts to hang up each holiday season! Best of all, this ornament can be personalized with any name and year for an extra-special gift! For my grandson who is ALL hockey, this is going to be a favorite. Adorable!!! I actually bought this as a wedding gift for a couple that loves hockey. I had both of their names put on it and the year. It is so cute!!!!!!! It came so fast for being personalized. Will definitly buy from this company again. Is this Personalized Hockey Ornament not enough to satisfy the sports lovers in your life? This is just one of many sports-themed gifts for kids that we offer, so be sure to check out some of our other items for your fun-loving hockey player. Here's an example of another sports themed Christmas ornament we really love. Don't miss out on all the other personalized Christmas ornaments GiftsForYouNow offers, with unique ideas for everyone on your list this holiday season.